For most of the campaign preceding Wednesday’s election in the Netherlands, the attention of the media was focused on Geert Wilders, the platinum-pompadoured xenophobe whose Party for Freedom (PVV) at one point was above 30 per cent in the polls and even in the last polls before the election was predicted to get 20 to 25 per cent of the vote. But in the election, which had the highest turnout – over 80 per cent – of any in the last 30 years, the PVV got only 13 per cent, three percentage points more than what it got five years ago. 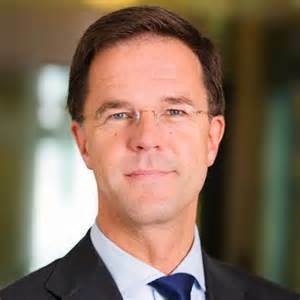 That was good enough for second place to Prime Minister Mark Rutte’s Peoples Party for Freedom and Democracy (VVD). And in the perfectly proportional Dutch system of representation, that gave it 20 of the 150 seats in the Tweede Kamer (Second Chamber), a gain of five. But it nevertheless was a tepid performance compared with expectations. If the PVV’s performance was tepid, that of the Labor Party (PvdA) was catastrophic. Labor, which has long been one of the dominant parties in Dutch politics, obtained 25 per cent of the vote and 38 seats in the Tweede Kamer in 2012 and partnered with Rutte’s VVD in the governing coalition for the past five years. On Wednesday, its vote share dropped to 5.7 per cent and it lost 29 of its 38 seats. The wholesale defection from Labor benefitted, above all, the Green Left (Groen Links), led by 30-year old Jesse Klaver, which quadrupled its vote from 2.3 per cent in 2012 to 8.9 per cent and got 14 seats, a gain of ten, drawing heavily on young people in and around Amsterdam. Labor’s collapse also benefitted the center-left Democrats 66, which did well in the university towns of Utrecht, Groningen, Leiden and Delft and increased its support from 8 per cent to 12 per cent and won 19 seats, a gain of seven. And it benefitted the Christian Democratic Appeal, which increased its support from 8.5 per cent to 12.5 per cent and won 19 seats, a gain of six. Several smaller parties – the Animal Rights Party (PvdD), the Pensioners Party (50-Plus), and two new ones, Think (Denk) and Forum of Democrats (FvD), also picked up additional seats. But the big winner Wednesday, despite the fact that the VVD’s vote dropped from 26.5 per cent to 21.3 per cent and it lost 8 of its 41 seats, was Prime Minister Rutte. And a big reason he was the big winner was the way he responded in the days immediately prior to the election to the insults of Recep Tayyip Erdogan, the authoritarian president of Turkey, in a war of words after the Dutch government blocked Turkey’s effort to send ministers to the Netherlands to campaign for votes in Turkey’s April 16 constitutional referendum. The referendum will ask Turkish voters to approve a series of institutional changes that would greatly weaken the Turkish parliament and greatly increase the already-extensive powers of the president. While some polls in Turkey indicate the changes will be approved by voters, a number of polls in recent weeks have indicated voters may reject the changes, prompting the Turkish government to launch a campaign to mobilize support among Turkish citizens in Europe who are eligible to vote in the referendum. An estimated 400,000 Turks live in the Netherlands and many of them are eligible to vote in the referendum. Five days before the election, the Dutch government denied permission to land to a plane bringing Mevlut Cavusoglu, Turkey’s foreign minister, to speak at a rally in Rotterdam, prompting the minister to threaten the Dutch with sanctions. Soon thereafter, Fatma Betul Sayan Kaya, Turkey’s Minister of Family and Social Policy, was prevented from entering the Turkish consulate in Rotterdam and escorted to the German border. Erdogan responded by speaking of “Nazi remnants” and “fascists” and accused the Dutch U.N. peacekeepers at Srebrenica in July 1995 of murdering 8,000 Bosnian Muslims. The big winner in Wednesday’s election was Mark Rutte and his VVD. He and his party can thank the Dutch voters – and also President Erdogan, who unwittingly contributed to his victory. David R. Cameron is a professor of political science and director of the Program in European Union Studies at the MacMillan Center at Yale.